When you park your domain names with UK-Cheapest.co.uk, you receive email forwarding facilities that enable you to create email aliases which can be set to forward to any email address of your choice. Email aliases are like email addresses but they do not store emails received, they simply forward them on to the destination that you set when you create them. There is no limit to the number of email forwarding aliases that you can create with your parked domain. The beauty of using Email forwarding aliases is that you can reject all email sent to your domain name except that sent to specific aliases, this can drastically reduce the levels of SPAM received to your domain name. You can add, remove and edit your email aliases at any time. Any changes that you submit are activated within minutes and you can create as many as you like. To use Domain Parking Features, you need to ensure your domain name is parked. If you are not sure it is easy to Check if your Domain Name is parked. 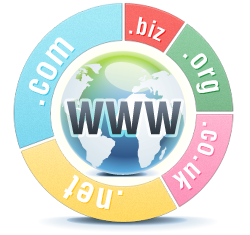 As long as your domain name is parked, the forwarding feature will work within an hour. Our Advanced Email Forwarding is provided FREE with all domain names registered or transferred to us. Full control, at no extra cost, where you need it most. There are no limits to the changes you can make.